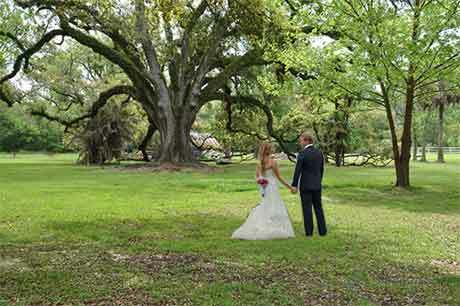 Whether it's an elegant garden wedding amidst Mary's breathtaking grove of ancient oaks, an intimate sit-down dinner for close friends and family, a simple ceremony in charming Mary ChapelMary's Wedding Chapel or a larger gathering in Mary's Reception BarnMary's Reception Barn — Mary Plantation is truly a romantic, fairytale setting. No matter if you're considering an intimate or extravagant affair, Mary Plantation will work with you to create the wedding of your dreams. We are dedicated to making your wedding day exquisitely beautiful and undeniably memorable. Allow Mary to make your special day an absolutely perfect and unforgettable plantation experience. Lodging is available on site at Mary Plantation in the Plantation House, the Carriage House and - in early 2015 – Mary’s Guest House. 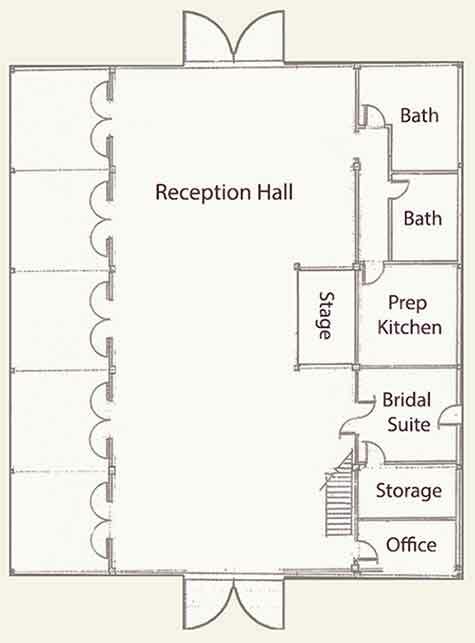 However, for larger groups that wish to stay together, our family of French Quarter properties are the ideal choice for wedding parties. Just twenty miles from Mary Plantation in New Orleans, our French Quarter hotels and residences are the ideal choice for friends and family wishing to stay together. We offer bus services and transportation to and from our French Quarter hotels to Mary Plantation. Explore French Quarter Suites to learn more about the many amenities of our family of French Quarter hotels and townhouses. Our family of notable French Quarter Hotels & Residences afford the visitor to the Crescent City an enchanting alternative to more traditional New Orleans hotels.